Money is often regarded as the common whore, the universal procurer of people and nations. On the flipside, it is the perfect means for bribing yourself through the inconveniences of life. Ask Philip Oduoza. The former Managing Director (MD) of UBA Plc cultivated the money habit in markedly different tradition from the ways of his peers. While too many of his peers, gained from their wealth only the fear of losing it, he gained from his wealth, comfort, contentment and a deep sense of purpose. The former bank MD understood quite early in life, that there are no little ways to imbue his life with grandeur. He understood that money matters in the mix, in his pursuit of ease and luxury. More importantly, Philip regarded money as the only sunbeams that lights his path to grandeur. Nothing is black where it shines. That is why his life is radiant with light. 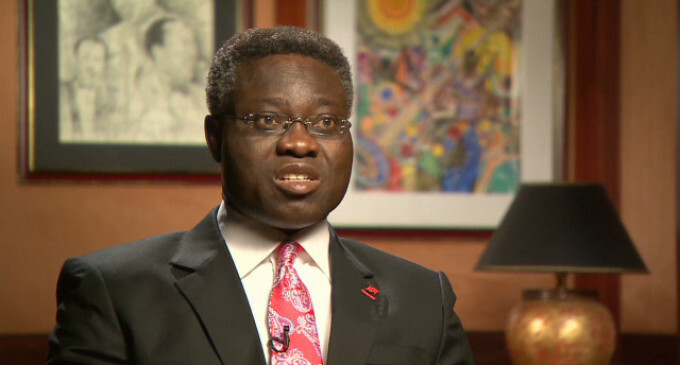 While he served as MD of UBA, Oduoza worked very hard and saved very hard, his hard-earned money. Today, he is reaping the fruit of his labour. Indeed, he is one very sharp dude who planned his retirement very well. Findings revealed that he is most likely the richest retired bank chief in the country, considering his extensive fortune and business interests. Having made a fortune that can last him for two lifetimes, he simply chose to maintain a low profile and avoid the razzmatazz of the fast lane. Yes, he might not be able to dress the part or live la vida loca lifestyle but Philip is big, argued a very close source to him, who maintained that the ex-UBA boss is simply being modest by not painting the town red with unnecessary expenses. Indeed, you can’t be the MD of a bank like UBA, arguably one of the biggest banks in Nigeria without making enough money for yourself and your family. Philip’s detractors respond that he is never modest, but he is simply a miser. They argued that it is very difficult to come by anyone who had being a beneficiary of Philip’s touted generosity. You can’t find someone who would mention that Philip had helped him for any reason. However, Phillips has launched Nova Merchant Bank. Nova, Nigeria’s fifth merchant bank, officially began operations on Thursday, February 1 at its headquarters in Lagos. “Banking is changing globally with the emergence of new entrants and the infusion of non-traditional business models leveraging advances in technology,” said Oduoza, who is an independent director at the Development Bank of Nigeria. “We believe Nigeria should not be left behind. Therefore, NOVA is here to bring a new experience in the banking industry. That was why we selected the name, NOVA, which means new. We want to do new things.